The largest and busiest airport in New Zealand, Auckland Airport (also known as Mangere Airport) is located in Mangere, 21 km south of the Auckland city centre. The airport handles over 13 million passengers in a year. A hub for Air New Zealand and Virgin Australia, the airport is a gateway for international tourists to the country. It ranks among the top 10 airports in the world. Major airlines that have flight operations from the airport are Air Pacific, China Airlines, Emirates, LAN Airlines, Singapore Airlines, Virgin Australia, Qantas, Hawaiian Airlines and Air New Zealand. Destinations include Adelaide, Brisbane, Cairns, Gold Coast, Hong Kong, Honolulu, Los Angeles, Melbourne, San Francisco, London-Heathrow, Shanghai-Pudong, Sydney, Tokyo-Narita, Vancouver, Christchurch and Wellington. Auckland, situated between the Hauraki Gulf, the low Hunua Ranges and the Manukau Harbour, is the largest urban conglomeration in the country. The city is ranked as one of the most livable cities in the world in terms of quality of living. There are many popular upmarket areas in the city such as High Street, Ponsonby Road,Queen Street, and Karangahape Road. 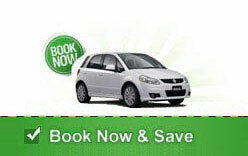 Our quick online car rental booking offers best deals and discounts. We provide access to a fine collection of rental cars, huge number of popular pick up locations including key airports as well as rental inclusions.